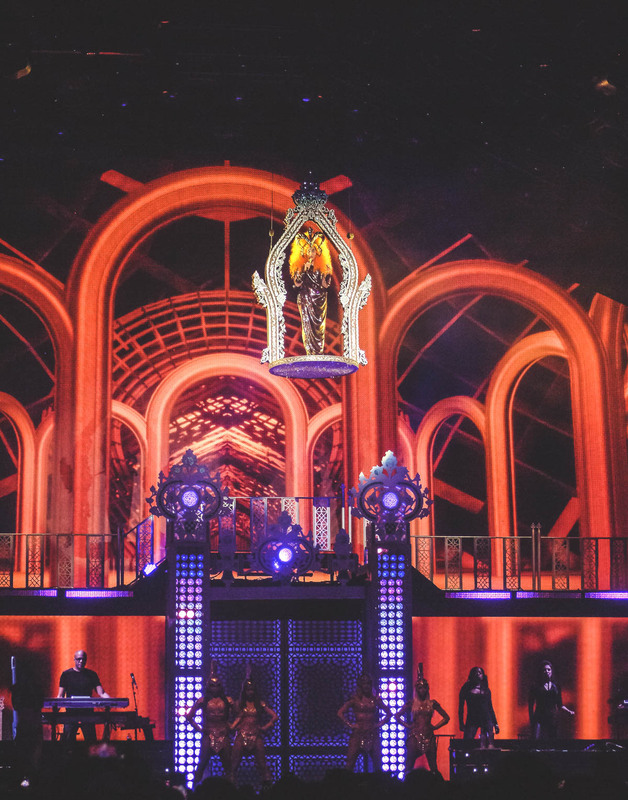 Concert Review: American Icon Cher delivers her own Valentine to Bankers Life Fieldhouse! Indianapolis, IN. 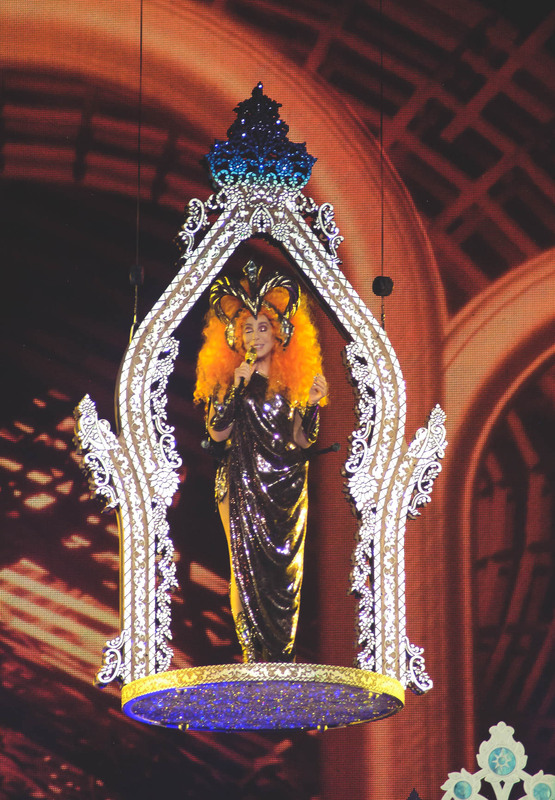 – Bankers Life Fieldhouse was a buzz Thursday, February 14th in anticipation for American Icon CHER to hit the stage. The Fieldhouse was packed as hit-maker and record producer Niles Rodgers and Chic got the party started with famous disco classics like “Everybody Dance”, “I Want Your Love”, “Dance, Dance, Dance” and “Le Freak” as the crowd danced and sang along. In between songs, Niles talked up the audience, reminding them that some of music’s most beloved tunes like “I’m Coming Out/Upside Down” by Miss Diana Ross and “Let’s Dance” by the late, great David Bowie were produced by Niles. Chic featuring Niles Rodgers ended their energetic set with a remix of “Good Times/Rapper’s Delight” leaving the crowd amped up and ready to go for the main event! 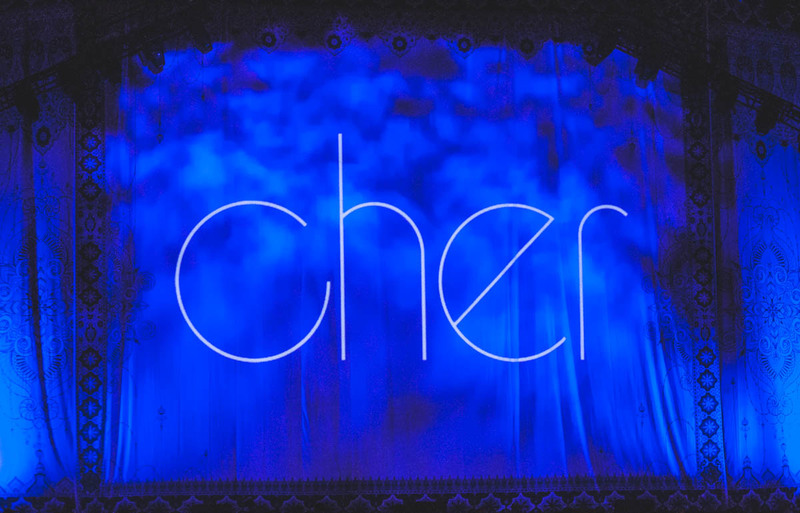 After a 15 minute start delay, the lights dimmed and the crowd jumped to their feet as a stunning video monologue of Cher over the years flashed before their eyes and the “Here We Go Again” Tour exploded onto the stage. For this correspondent, it was a full circle experience as Sonny & Cher had been my very first concert on August 19, 1972 and now I was photographing and reviewing her final tour. Who could have imagined that the 3 1/2 year old girl with stars in her eyes would be standing here now!! At 72 years old (yep, 72!) 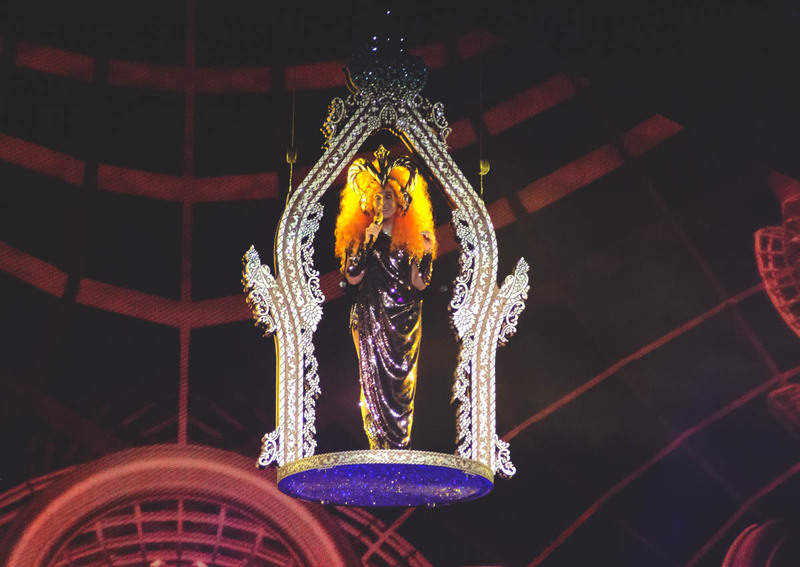 the “Goddess of Pop” reminded us to believe in yourself and follow your dreams!! Pointing to one young fan asking, “What’s your granny doing tonight?” as she turned and skipped off stage for another costume change. And that was one of the best parts about this show….as you looked around in the crowd, you saw faces young and old; small children to older adults – All singing, laughing, dancing and cheering as one of America’s Most beloved entertainment Icons took her final bow in Indianapolis!! 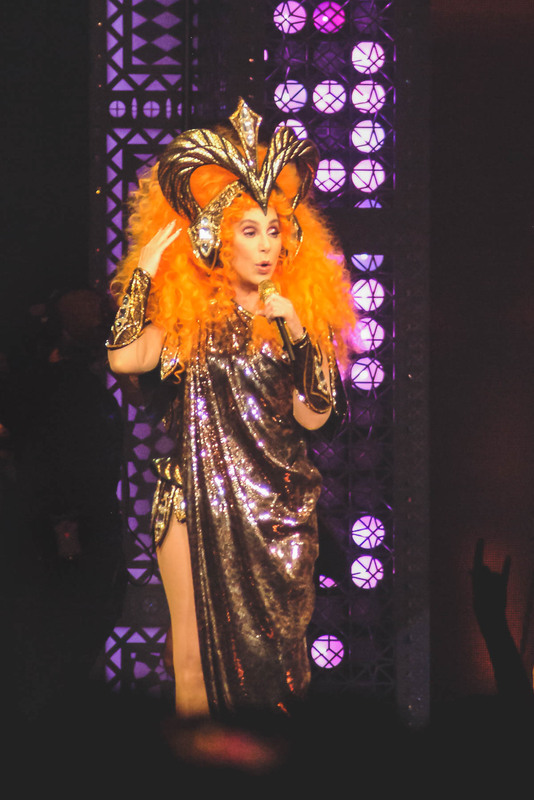 Make sure to catch Cher and the rest of her ensemble as they make their way across the U.S. on the “Here We Go Again” Tour. 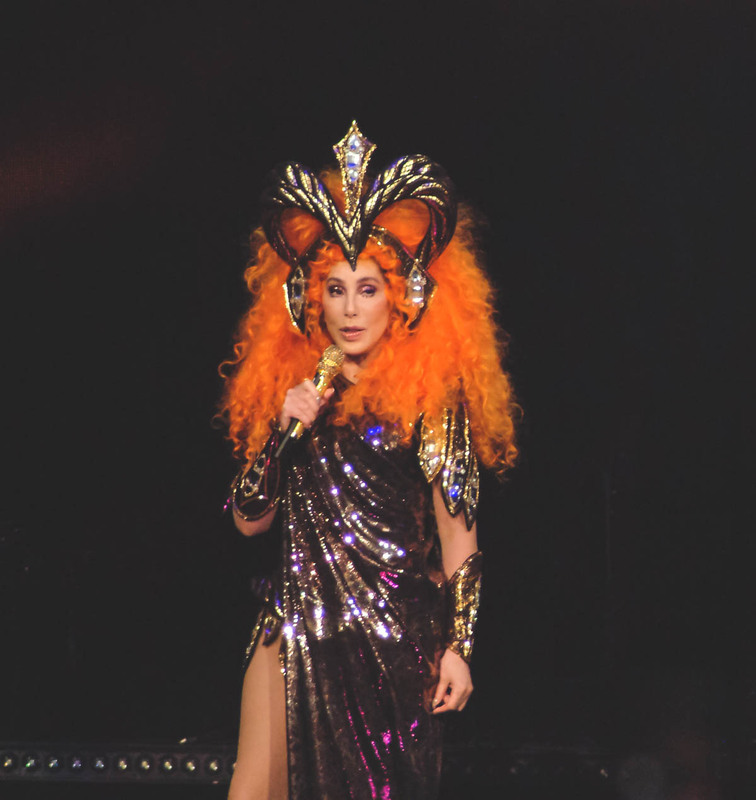 Trust me folks, you won’t want to miss this one as Cher reminded us that THIS IS IT! I am a freelance photographer based in Indianapolis, Indiana specializing in concert and event photography. With my childhood love for music and photography plus the added influence from my mother (a Broadway Company Manager) and later from my husband (a live sound engineer) it seemed only natural to combine my passions and pursue my craft more seriously. I have been blessed with great opportunities to shoot fabulous performers and look forward to sharing my work and new adventures with Digital Beat Magazine. Be sure to look for me in the pit at the next show... They call me "Pixie Dare" Make sure to check out my portfolio at www.picturesbypix.com and be sure to find me on Facebook at Pix Meyers Photography and Instagram @pixmeyersphoto.